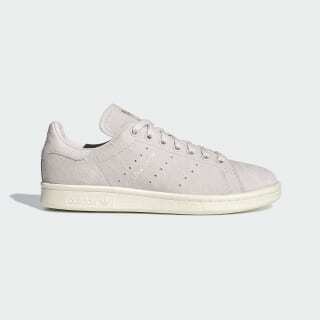 Stan Smith shoes with an embossed nubuck upper. 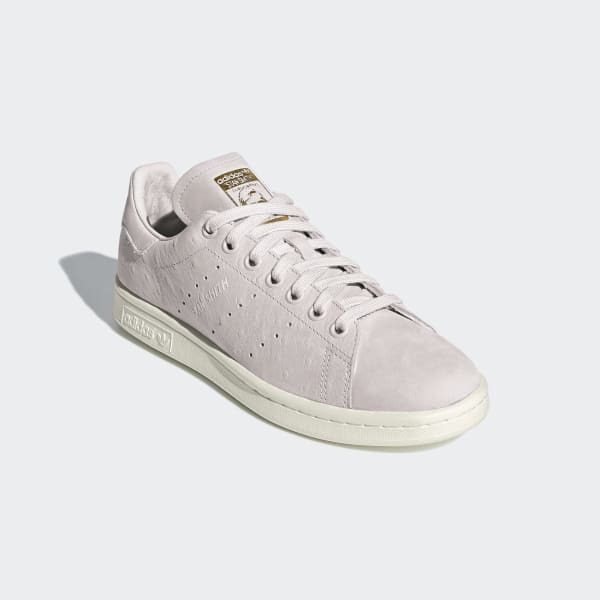 Named for one of tennis' all-time greats, the iconic Stan Smith sneaker first stepped onto the court in 1971. Today, the shoes are a streetwear staple. This modern version gives it a fashionable touch with a nubuck upper that's stamped to look like exotic ostrich leather. A gold-foil logo completes the luxe style.